The U.S. Business and Industry Council (USBIC) has launched a media campaign intended to drive awareness of the lack of enforceable currency provisions in the Trans-Pacific Partnership (TPP). USBIC represents domestic manufacturers and has an excellent Trading Away Jobs website. 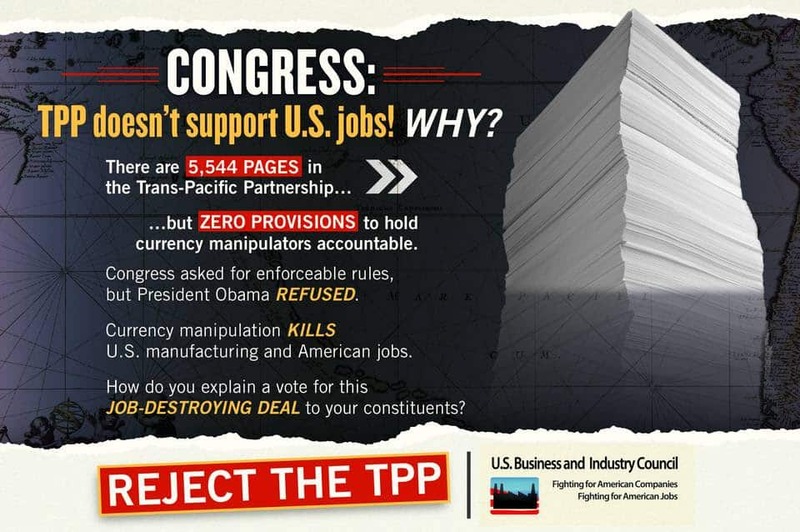 The group’s print ads will appear in Capitol-Hill-oriented media: Politico, The Hill, and Roll Call.